So far, I've tried to be a little scientific in my approach to studying Steem Promotion Bots. I've tested the options carefully, collecting data points here and there. But this approach is fundamentally flawed in one respect: I only post three times a week. That means I only collect three data points per week, which is not enough to make a meaningful conclusion in this ever-changing crypto world. I'm saying this because a few commenters have specifically asked me to keep them updated on my experience, because they want to know if using promotion bots is worth the effort, and my approach has this blind spot that needs to be acknowledged before I can make any claims. With that out of the way, I believe I have learned a few things over the course of the past week. For monday's post (Muppets: Infinity War, Part 3, in case you missed it). I decided to space out my use of promotion services. As usual, I submitted the post to MinnowsBooster right away, but I waited ten minutes before submitting the same post to Smartmarket/Smartsteem. This produced good results, as I finally managed to get Smartsteem to use the entire SBD I sent them. Meaning I did not get a large refund, but the result was still welcome. This, however, did not work for my post on Wednesday (Netflixing: Agents of S.H.I.E.L.D., Season 4, in case you missed it), in which I got more than 75% of my contribution refunded from Smartsteem. It would appear that Smartmarket operates according to a very particular time schedule, and it can be difficult to get the timing just right. They seem to have a very large audience, so being able to use 100% of your contribution could really make a difference. But, alas, it is not so easy to hit that sweet spot. Two SBD are Better than One? For wednesday's post, I decided to splurge and give 2 SBD each to Minnowsbooster and Smartmarket. Unfortunately, as stated above, Smartmarket used less than 25% of my SBD, and I got a 75% refund. Meaning that instead of spending 4 SBD, I only spent 2.5. For most of my past experiments, my final cost came to about 1.5 SBD, so Wednesday's post ultimately only had 1 more SBD spent than usual. And the results are...inconclusive. The post made about $12 overall, which is definitely on the higher end of what I usually get, but monday's post, on which I spent only 2 SBD, netted me an $11 total. So for the additional .5 SBD, I only got 1 U.S. dollar. On the surface, it would appear that giving each bot 2 SBD instead of 1 SBD is not more profitable. But then, I've only tried it once. And with just one data point, I can't conclusively say that this is the case. Astute reader @milano1113 has encouraged me to try out the TipU service for greater returns. Steemit user @cardboard, who I think is the human who runs the TipU service, has also reached out to me, and I feel like I should give the service a chance. But, at the moment, the TipU service is still small, and can only vote a few times before it needs to begin a cooldown period. From what I hear, it's trying to expand to the point where it can handle a much larger user base (and based on its popularity, it may well reach that point). Still, for now it is even harder to time than Smartmarket, though I'm still open to using it. However, TipU can also be used as an investing service, where you send a certain amount of Steem or SBD to TipU and get a percentage of TipU's curation rewards back. I haven't tried this, but it seems like you can invest this way at any time, even during the cooldown period. The way I understand it (and I could be wrong) is that if you want to get a TipU upvote, you send the SBD (or Steem) to TipU with the URL of your post in the "Memo" line. Whereas if you want to invest, you send the currency with the word "invest" in the memo line. Investments can apparently be done whenever, whereas getting upvotes can only be done when TipU is active (and you will get refunded if you try to get an upvote during the cooldown period). Keeping in mind that I have not personally used TipU yet (though @milano1113 has used TipU to tip me), I can say that it seems like one of the more interesting options for raising a posts profile at this time. Like I said, I only post three times a week, and this doesn't give me a lot of opportunities to branch out and experiment. Unfortunately, posting more frequently is not an option, as I simply do not have the time, and I am more interested in producing quality rather than quantity. Is it advantageous to space out the time at which you give contributions to promotion bots? Giving to the two big ones at the same instant may not be the best strategy. Does the size of your contribution scale? or does giving more lead to diminishing returns? TipU is getting very popular. Is it the Steemit solution I need? or will its own popularity keep me from being able to use it? These are the results of my current dabbling. Thank you. Interesting to read more about how users are trying to optimize their returns. In the past month I have been experimenting with bots as well. In the beginning I was loosing on my investment. One of the reasons was the Steem price dropped. You just have to figure out when it’s the best time to use them. Eventually I have used @tipu as well. His ROI is one of the best and I will continue using him. @smartmarket is great as well since he upvote you right after you send SBDs to him, which means before 28 min your post was published. This give you most of the curation rewards as well. Keep experimenting and letting us know. You are completely right! You have to experience it yourself to figure out what’s best for you. Everyone has different goals and motivations. You seem to try promoting you content in a good way. There are people sending $100-$200... to get upvote from bots, which is not the right way these bots should be used for in my opinion. It should be used to boost your content. Look at the trending page with $700,$800...rewards and check how they got it. I don't think to using bid bots. But I used before for promote my posts. I think it's not in good to mine. With your idea I think Tipu is better option. Before I need to check it out. Excellent Bid bots review @talanhorne. There are several things that can be kept in mind the ROI is getting less as the popularity of the bots are increasing. While for some most used bots https://steembottracker.com/ seems to be efficient.To know the info on the bots. While keep us updated on the matter. 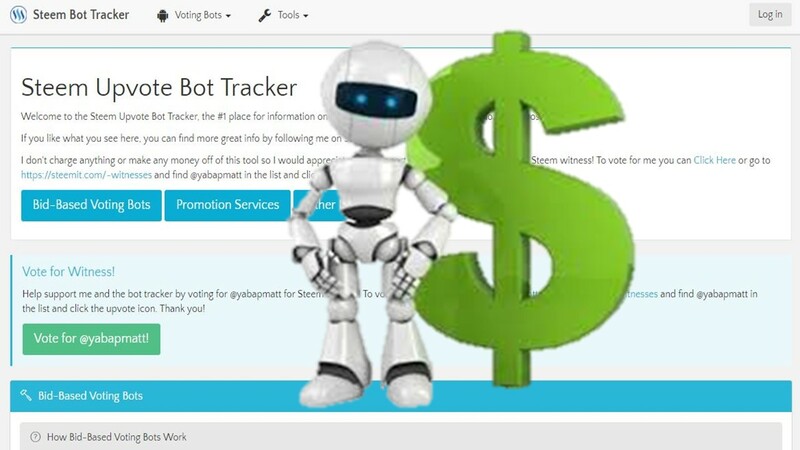 i think you have revealed the true sprite of steemit platform and here we can go with some point of view as bot are help to promote the post and also they promote what ever we submitted. but i like your approach, post 3 or 4 a week and maintain with the quality. great job and you also inspired me. Interesting post. I used and continue to use all 3 bots mentioned in your post and @tipU is by far the most profitable for me. I haven't tried investing option yet, but plan to do that soon. Thanks! Interesting observations on working with bots, but I think it's all individually, we must try it on our own experience. The main thing you told us on your example, the key points. Great writing about this bot service.And thanks for sharing this tipu bot service.Today I will use rhis service.And @talanhorne You can also use @postpromoter bot. This bot also get good service. 100% upvote and resteem done. Yes @postpromoter has also get good servise and get profitable upvote. You are right sir.Your thought and experience is very helpful and useful. I will use this service next time. We need more people to be BRAVE like you and speak out about bots.. Exceptional review about bots. Valuable update to the Steemians...!!! You're a good knowledge person about writing and it's very difficult. Your job is excellent topic. @talanhorne, That would be excellent summery about ROI promotion bots. I've already using this service. Sometimes I didn't received full amount of invest SBD or steem. Currently I most use smartsteem. It given some profitable amount. I don't use Tipu service and think it's better time to try. Look....Thanks for given massive update. Minnowbooster is my favorite. I have used smartsteem too, and it is good one too. But I am yet to experment other bots with their profitibility, ROI after curation. Thanks for sharing your valuable content..especially thanks for discuss about bots..cause i gain knowledge to your post in bots ..well done. I've never experience of promotion bots. But I see via steembottracker some information. I'm new to steemit so I learn more from your this article about bots. Excellent explained @talanhorne. Nice review given. For me, smartsteem, postpromoter given some extra rewards our sending sbd and steem's. Agreed with of tipu service. I have seen some author's post tipu's upvotes. But some bots waste our money. Thank you to assistance. Very impresive sir to give us all that informtion about bots after read all i should try bot and i wish it should be good for me . Interesting tip & the way you try this option is a good guide for the all steemians. Nice writing of a good content. THANK YOU!! You know what? I've been thinking exactly along the same line of thought as yourself and I agree whole heartily with your point of view and your comment. So keep up the good work and stay in touch by making more good and even more regular comments. Thanks again friend. Thank i need these words . i also want to use promotion bots but not getting a good response . I am using smartsteem it is also good to me so far . but i dnt know how much i pay for a good response . so you make me thankful for these awesome words . I will try your experience on my next pist . hope it work for me also . Thank you for giving me a good way to use bots. Extraordinary good review of Promotional Bots & TipU. Incredible findings & well shared. Wow... Great sound... love to see your blog. Thank You sir @talanhorne for Your great share. i think its a great job finish now....thanks for great article share with us.. I'm using minnowbooster and have got about the same return, no profits no losses. I don't understand how it works yet. You are getting more audience day by day. It's a good news. Excellent article & nice writing. Thanks for revealing these options. so interesting post. I believe that steem is good opportunity...........I hope you have a wonderful day. I will try your experience on my next post . hope it work for me also . Promo bot strategies aren't shared by lots of users. But you do. That's the uniqueness of yours. Many thanks for the information on the use of bots. Very useful. with using bots you post are more get noticed. with upvotes by bots rank of your post increased.and then new people see your posts and upvote if you post quality content. I really don't get benefits from other bots, but nowadays Minnowbooster is giving you benefit @talanhorne, you must try it. Very informative post.i have a lot of learn experience bots .loving your blog.thanks for sharing. Interesting to read more about how users are trying to optimize their returns.excellent post ..loving to your blog.thanks for sharing..
Hi @talanhorne! You have received 1.0 SBD tip from @cardboard! That is article is professional & Excellent writing . so great experience. I was surprised you @talanhorne, because every post you always good. This is professional writing experience and great work. This is very interesting article and this is a great steem post. thanks for sharing. Good writing you just shared.Writing is very hard. I also love chicken and its my favorite. Thanks for sharing your valuable post..
My support will for your every post . I wish you success in this steemit by your bots post. Your job is excellent Blog. I tried to follow your strategy, but I didn't get it very well! So still attached with up vote bots! In this service type, our posts resteemed and also get up votes? Am I correct bro? This second part of promotinal bots is very interesting sir this is a great indepth explanation thanks a lot sir love your blog posts so much. This is great publishing and great writing experience. Amazing one sir,thanks a lot for your indepth explanation. 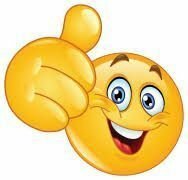 Amazing sir its great techniques to optimise our earnings,as a fan i love your blog so much sir. Love this one sir this is as best as first part thanks a lot sir have a great day i always enjoys your blog posts. Not only curation rewards but also profit :) so the investment is treated as STEEM POWER delegation, but you can refund your investment whenever you like. And you're right about @tipU recovering voting power most of the time, recently I've made some changes to the voting schedule which should help a little. i am also tired of bots, but i still use smartstreem and minnowbooster because they are the best in my eyes. I have used minnowbooster so far .In the mean time will get to use the others in the coming days. Bot's can help you to spread a message, that is worth spreading. If you have very few follower's, there is a high chance that you post will get buried in the abyss called the "new tab", if you don't make use of their services.